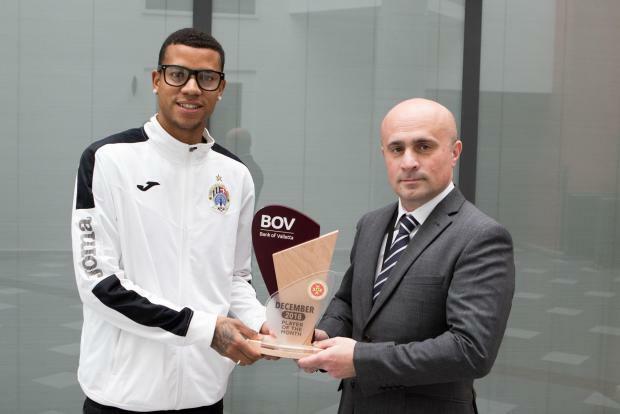 Hibernians' Taylon is the BOV Player of the Month for December 2018. The 23 year old from Carmos des Minas in Brazil sealed this award scoring three of four Hibs’ goals during December and help them go top of the BOV Premier League jointly with Gzira at the end of the year. Taylon opened the score for Hibs in their 2-0 win over Senglea, when the Senglea goalkeeper blocked Johann Bezzina’s shot but failed to hold, with Taylon pouncing on the rebound and slotting into the net. Trailing 1-0 to Balzan, Taylon was floored in the area by Elkin Serrano Valero and made no mistake from the spot to obtain the equalizer. Again down 2-1, Taylon received a fine pass from Tiago Fonseca, beating the offside trap and blasting past the onrushing keeper to draw level with the opponents.